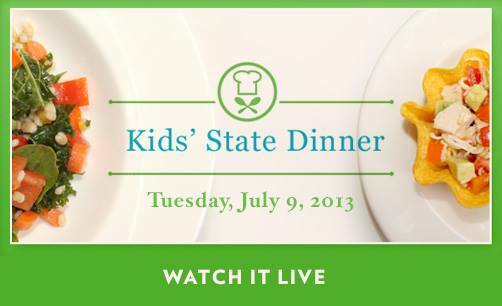 Watch the Kids’ State Dinner LIVE! Tomorrow is the big day. I get to go to the White House! All these kids have created a healthy recipe, and some will be on the menu 😀 I can’t wait. But I can’t wait to meet Michelle Obama even more! That will be amazing. If you are interested in reading about my trip, please see my blog here.